The University of Limerick’s BM BS Graduate Entry Medical Programme (GEMP) is open to graduates from any discipline. It has a highly innovative curriculum which offers students the opportunity to complete undergraduate medical training in four years in an environment specifically designed for graduate students. During your four years of study, you will be taught all of the basic medical and clinical sciences necessary to form the basis for postgraduate training and for a career in one or other branch of medicine. The curriculum for Years 1 and 2 is taught in a traditional academic year, starting in September, while teaching in Years 3 and 4 begins in early August. Years 1 & 2 are taught on campus and consist of 33 teaching weeks per year. Years 3 & 4 consist of clinical training, where students rotate through the major clinical disciplines in affiliated hospitals and training General Practices. The above domains or themes run concurrently and underpin all learning across the four years. They are designed to ensure that all aspects of the skills required to be a doctor are addressed, from the sciences underpinning a rational approach to diagnosis and management, to an awareness of the importance of personal development. The first two years of the course are structured around problem-based learning (PBL). The ‘problems’ are highly structured hypothetical clinical cases, each of which takes a week to work through. This is backed up by a small number of lectures. There is also structured Clinical Skills teaching and Anatomical Skills teaching. Teaching in the Professional Competencies takes the form of lectures, tutorials, workshops and seminars on topics such as biostatistics, psychology, public health, health law & ethics and medical sociology. All sessions are focused towards the topic of the week, exploring it from different perspectives including the scientific, sociological, public health, legal and patient experience. This means that everything you learn is done in the context in which you will use it when you practice as a doctor. During the first two years, you will be assigned to two real patients and will be expected to follow their progress and life experiences over time. One patient will have a chronic, and possibly progressive, medical problem (e.g. diabetes, arthritis, asthma); the other patient will be an expectant mother and you will be expected to monitor her progress through her pregnancy, and subsequently, the early development of her child. Over the two years, you will be expected to come to know your patients, first and foremost, as people. You will also be expected to be involved when they interact with health care services (e.g. you might accompany them when they visit their GP or hospital out-patient clinic; you might visit them in hospital etc.). The aim of the programme is to help students to understand both health and illness and how each is managed from the patient’s perspective. You should also come to appreciate the strengths and deficiencies of health services. Above all, you should gain some insights into the relationship between the providers and the consumers of health care. In Year 3, all students will be located in the General Practice/Primary Care setting in one of five Primary Care Teaching Networks (PCTNs) for 18 weeks. For the remainder of Year 3, students will undergo hospital-based clinical training in Medicine and Surgery. In Year 4, students will spend 6 weeks of clinical training in each of Obstetrics/Gynaecology, Paediatrics and Psychiatry. The will also undertake another 6 weeks in Medicine & Related Specialities and a further 6 weeks in Surgery & related Specialties. This will involve rotations through a number of affiliated hospitals. Six weeks in Year 4 is devoted to the SSM. Special Study Modules allow students to study in depth areas that are of particular interest to them. In total, students undertake three SSMs, one in each of Years 2, 3 & 4. Students have considerable choice over the subject of these projects, but the format for assessment is prescribed. Some students might choose to undertake their SSM locally and others may go abroad to complete these electives. The emphasis will be on regular assessments with detailed feedback throughout. The format of the assessment will include Continuous Assessment, Short Answer Questions (SAQs), Extended Matching Questions (EMQs) and/or Multiple-Choice Questions (MCQs), Anatomy Spotters, Long and Short cases, OSCEs (Objective Structured Clinical Examination) and OCASEs (Objective Clinical and Anatomical Skills Examinations). The OCASE is a modification of the traditional Objective Structured Clinical Examination (OSCE) to include the assessment of knowledge of Anatomy. Candidates must hold a minimum 2.1 (second class honours, grade one) result in their first honours bachelor degree (NFQ Level 8). 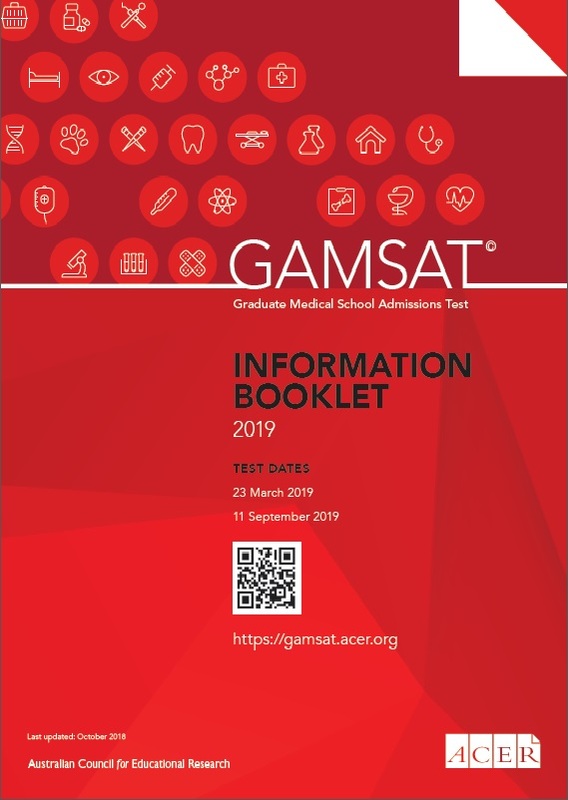 For candidates who meet this requirement, GAMSAT (Graduate Medical Schools Admissions Test) will then be used as the sole instrument to select students for the programme (https://gamsat.acer.org). Applications must be made through the CAO. Information about applying through the CAO is available at www.cao.ie. The course code for the Graduate Entry Medical Programme is LM101. Please note that this is a restricted course so the deadline for application is February 1st. Candidates must hold a minimum 2.1 (second class honours, grade one) result in their first honours bachelor degree (NFQ Level 8). For candidates who meet this requirement, GAMSAT (Graduate Medical Schools Admissions Test), or in the case of North American applicants, MCAT, will be used as an instrument for selection. Non-EU applicants must also attend for interview as part of the selection process. In addition to the course fee, students are required to pay a Healthcare Screening cost of €250 in Year 1. This covers all immunisations across the four years of the programme. Students are also required to purchase an iPad mini for use throughout the programme (including clinical years). This must be purchased from the school through a third-party supplier. The cost is in the region of €575. UL has worked with its banking partners to establish a financial support scheme for EU students of the UL medical programme. Details of the Student Loan Scheme are available on the School’s website. With the generous support of the Atlantic Philanthropies, the University commenced a scholarship scheme in 2008. This scheme provides financial assistance to socio economically disadvantaged EU students applying for the Graduate Entry Medical Programme. Details of the scholarship scheme are available on the Graduate Entry Medical School’s website.